Both local and national employers will be on hand at the upcoming Bolton Jobs and Skills Fair in an attempt to find qualified people to fill openings. The job fair is the largest employment and training event in Bolton and will take place on Thursday, Sept. 20th in a bid to help that community’s job seekers find work. 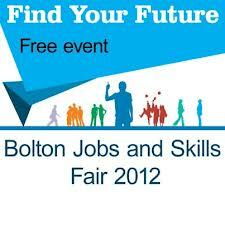 The upcoming jobs fair will be the second hosted by Bolton College in its attempt to tackle on the rising unemployment problem in the area and to encourage people to return to school or enroll in training programs to make them more attractive to employers. This job fair is going to be twice the size of the last one which held in February. In all, there will be sixty employers on hand. The job fair will features drop-in sessions with recruitment firms and business experts to help people learn to apply for jobs, prep for interviews and write effective CVs. People attending the event will have the opportunity to try out a few jobs such as hairdressing, catering and construction. The last jobs fair was a smashing success as 80 percent of those people in attendance reported that it did help them find work. There are currently nearly 9,000 people in Bolton claiming jobseekers’ allowance so this event is one that many are looking forward to. Click here to view all other jobs fairs across the UK!